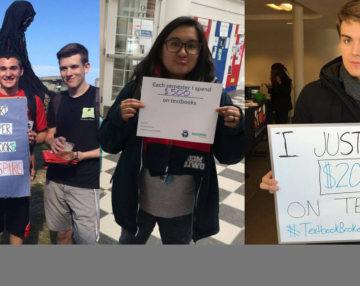 As momentum grows across the state for 100% renewable energy, MASSPIRG Students and Environment Massachusetts launch campaigns on over a dozen campuses to go 100% renewable. 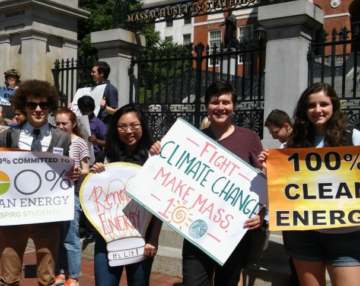 Boston, MA – Today, MASSPIRG Students released a report from partners at Environment Massachusetts Research and Policy Center, touting the leadership role that colleges and universities must play in the clean energy revolution, unveiling a 10-point plan to guide campuses toward 100 percent renewable energy. Renewable Energy 101: Ten Tools for Moving your Campus to 100% Clean Energy, includes a series of factsheets highlighting 10 key tools to help colleges across the commonwealth, from UMass Amherst to Westfield State, to Tufts with building a 100 percent clean, renewable energy system. According to a recent report by the Environment America Research and Policy Center, colleges and universities serve more than 20 million students and spend more than $15 billion per year on energy – so bold commitments to clean energy can drive big investments in solutions. At the same time, as influential institutions, actions taken by higher education institutions can set an example in hundreds of communities across America; while training the scientists, engineers, policymakers and civic leaders we need to move the nation toward sustainability. 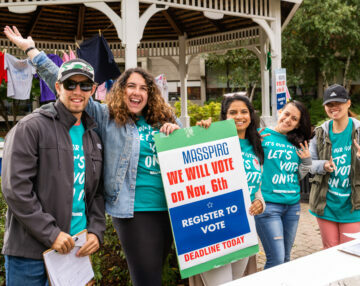 MASSPIRG Students, in collaboration with its national network of Student PIRG organizers and partners at Environment America, launched campaigns for 100 percent renewable energy on dozens of campuses across the country this fall, including 15 here in the baystate. “Switching our economy to 100% renewable energy is necessary and achievable. It’s going to be challenging and exciting, and impact every aspect of how we live in a modern society,” said Ben Wile, a Professor in the Department of Environmental Conservation at UMass Amherst. With over 100 2- and 4-year college institutions and they are huge energy producers, MA’s higher education institutions are key to transitioning our state to 100% renewable energy. College administrators, sustainability staff, and committees of students and staff have been pushing for increased energy reduction and structural changes on campus to reduce their carbon footprint. Many colleges have made great strides toward reducing greenhouse gases, and the case studies in the national report demonstrate a variety of tools that can be used to get to 100% renewable energy. Organizing locally is critical in the current political climate, and students have been at the forefront of many positive environmental changes. The city of Salem was the first town in MA to make a commitment to 100% renewable energy. The city council passed the resolution in June of 2015 after five months of grassroots organizing by the students from Salem State MASSPIRG chapter. The 100% Renewable Energy Campus Campaign is a statewide priority for the MASSPIRG Students Chapters. Organizers and student volunteers are on the ground mobilizing support at the UMass Campuses, State schools, community colleges, and private institutions from the Berkshires to Boston and the South Coast to the North Shore. Along with moving college campuses and local communities to make this commitment, MASSPIRG Students and Environment MA are organizing around statewide legislation. The legislature is considering a bill that would commit MA to getting to 100 percent renewable energy by 2050 and electricity by 2035. MASSPIRG student volunteers attended the Legislature’s Joint Committee on Telecommunications, Utilities, and Energy hearing to urge legislators to move quickly to pass the 100% Renewable Energy Act. So far, 58 legislators have signed on in support of the 100% Renewable Energy Act. The MASSPIRG Student Chapters work to save the planet, defend the public interest, and protect consumers. To achieve that, we need to imagine what society should look like in the future, and we need to overcome opposition by special interests in the present to get there. The future belongs to young people. It’s up to us to dream it up, and our idealism, energy, and vision will build the people power to make it a reality. We have a two-fold mission to win positive reforms on issues that affect us and our society and to train students to be engaged in civics and democracy.